Building a water garden can be as simple as filling a container with water and adding some aquatic plants. 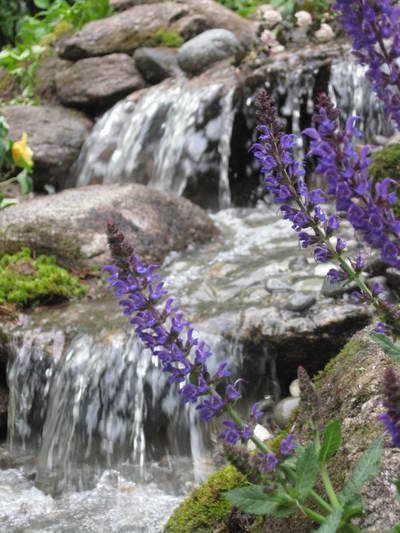 At Nature Scapes we love to turn all our ponds and pondless waterfalls into water gardens as the plants help to keep the water clear and clean. 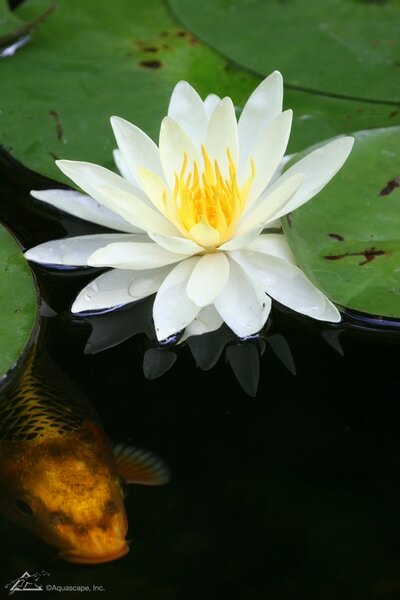 There are a few basic types of aquatic plants for water gardens: Marginal Plants, that grow on the edges of the pond from just moist soil up to a few inches of water; Floating plants, that have various means of floating on the waters surface; And of course waterlilies and lotus which are placed at various depths (determined by species) and grow to the surface of the water. Be sure to take a couple minutes to determine which depth the plants you want to grow live at. 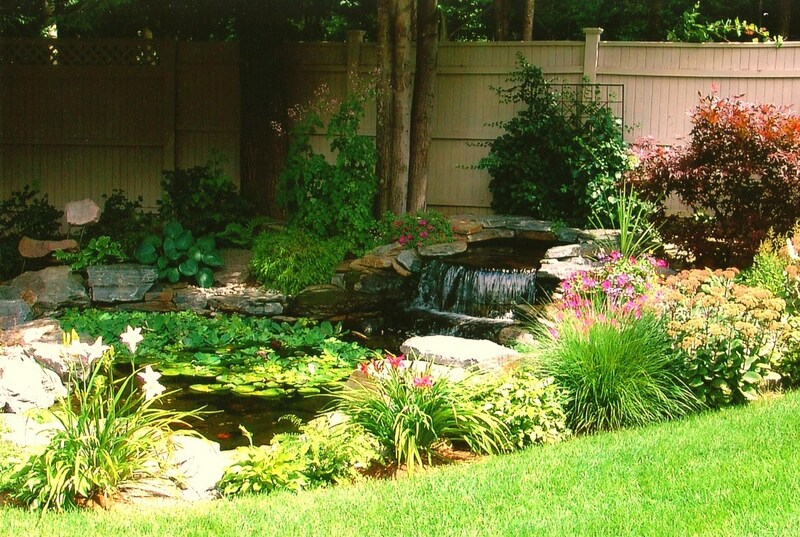 This will help you determine what type of water garden you want to create. Ponds are utilized by people wanting to grow a wide range of aquatic plants. There are almost endless possibilities as to what plant varieties you can grow in a pond. Every type of aquatic plant habitat is likely to be represented. ​ Pondless waterfalls are waterfalls that terminate in an underground basin. 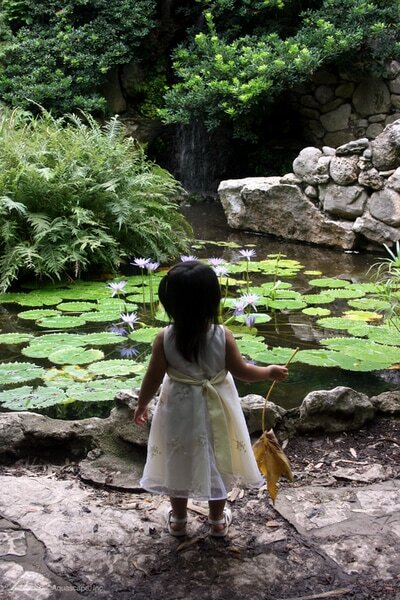 You won't have habitat for lilies and lotus, but will be able to plant many marginal and floating type plants in your pondless waterfall. 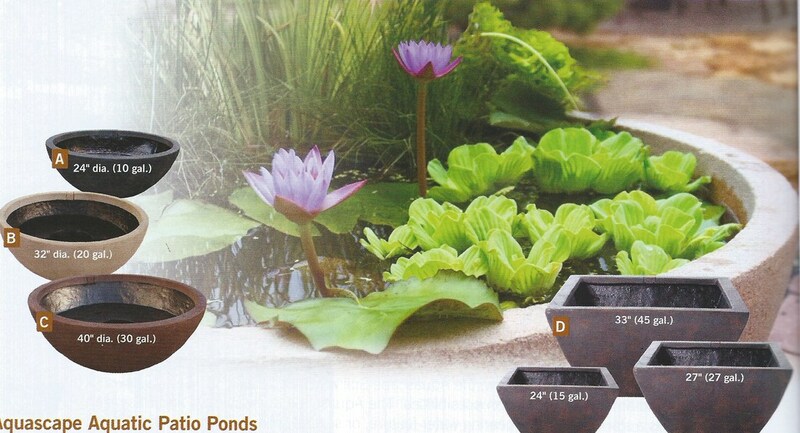 Container Gardens as mentioned above are simply miniature ponds. By carefully selecting your plant species you can enjoy any type of aquatic plant including species of lilies and lotus. 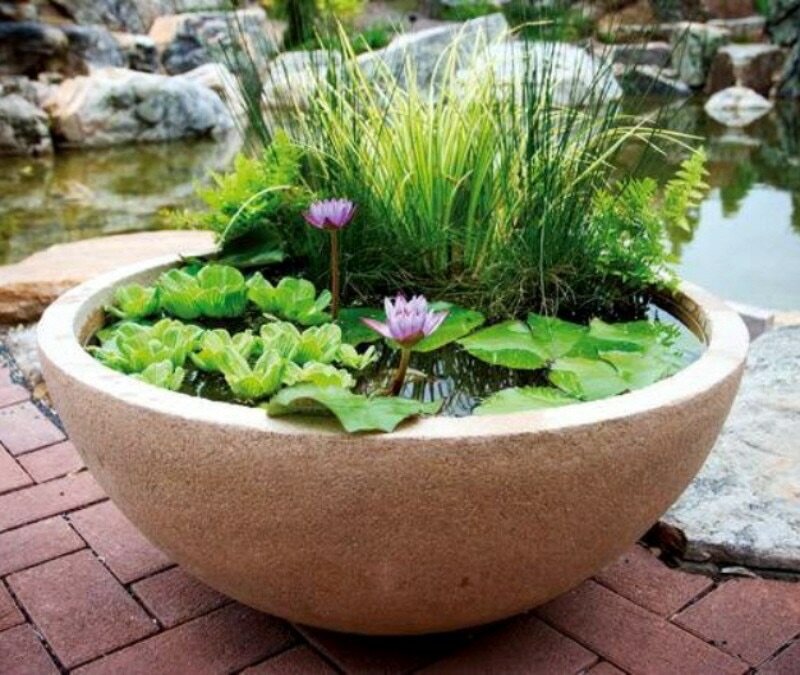 Careful care should be taken in selecting a container as many marginals want to live in very shallow water. To accomodate them your container should have a shelf built into it, or you may need a way to keep the marginals at the proper depth. 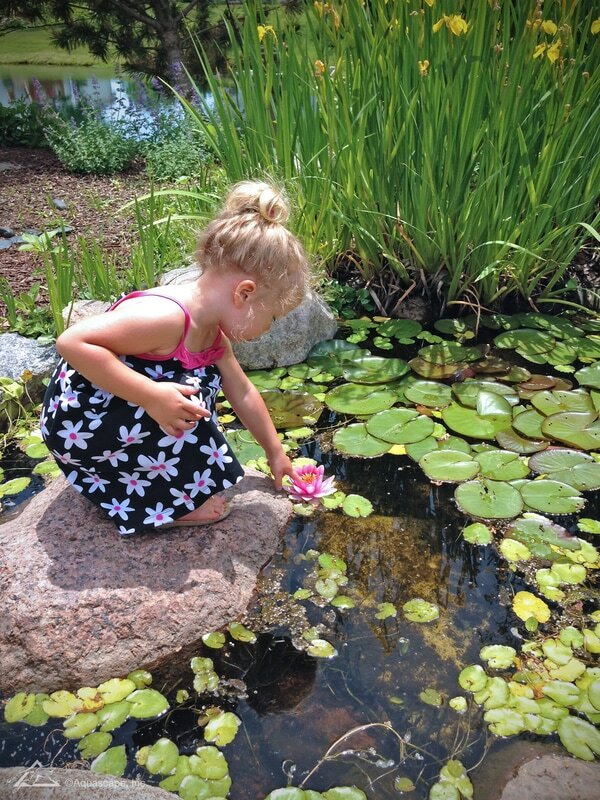 Be sure to check out our blog for information about various plants and water garden projects!